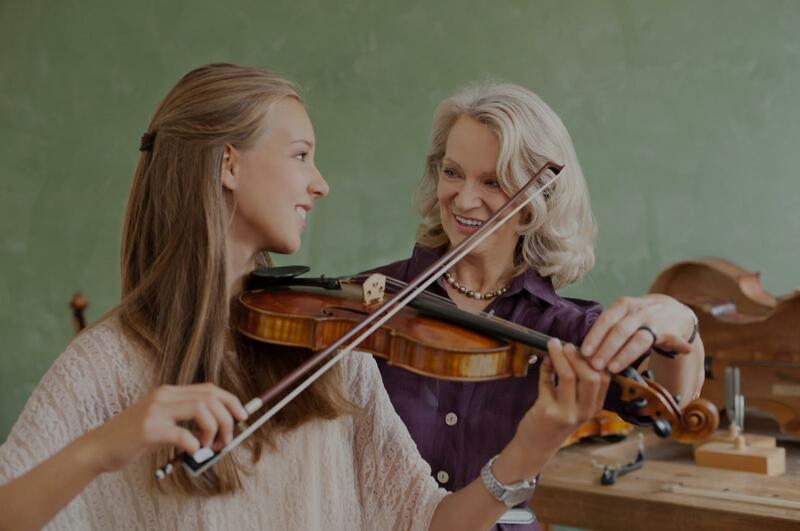 Flat Rock, NC Violin Lessons Near Me | Fun Classes. Top Tutors. Can't find a teacher in Flat Rock, NC? "My daughter loved her first beginner violin lesson!" Asheville, NC teacher: Kendra R.
e of her abilities.... not too easy and not too hard. Kate enjoys Kendra's approach and is very comfortable with her. We have been very happy with Kate's motivation to practice and with her progress in learning. She especially enjoys the variety of music that Kendra encourages her to play." "Thank you Kendra for the wonderful lesson. I look forward to the next!" "Kendra is very patient and kind; my daughter loves her!" "The first lesson was a little stressful for my daughter but Stephanie made her feel comfortable and not overwhelmed." Asheville, NC teacher: Stephanie Q. "Stephanie was an INSTANT "hit" with our Granddaughter. She had a great time for her 1st lesson, and can't wait to practice this week, and grow in skills. t too which indicates she is more about helping the student. sionally trained as her is very challenging in of itself, but to have someone of her caliber teach my daughter from many miles away in the comfort of our home is truly amazing! Stephanie was very patient, observant, extremely knowledgeable and a talented teacher. It is quite a luxury to have the opportunity to work with her. I'd recommend her highly. If you are hesitant to try her online lessons I would suggest you at least give it a chance; you will be pleasantly surprised."